What is mercury safe dentistry near Kernersville, NC? 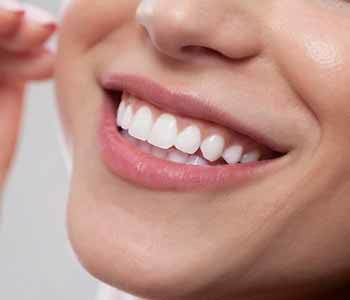 Perhaps you’ve heard the terms mercury-safe and mercury-free dentistry, whether in an article online or mentioned by a friend, but do you really know what the difference is between the two and what they mean to a patient? Mercury-safe dentists provide the safe removal of mercury fillings. Mercury-free dentists only place mercury-free alternatives to amalgam. All mercury-safe dentists provide mercury-free services, while not all mercury-free dentists provide safe mercury removal. At Virtue Dental Care near Kernersville, NC, our office is equipped to remove mercury fillings and replace them with safe, biocompatible alternatives such as composite resin. During the removal of these fillings, we follow the guidelines published by the International Academy of Oral Medicine and Toxicology. These precautions include the use of rubber dams, high volume suction, an alternative air source for the patient, vapor traps for mercury fumes, and proper disposal of waste to protect the environment. For over 150 years, amalgam was the “go-to” material for dental fillings. In fact, while the numbers are dropping, it’s still the number one material used for fillings across the world. Even the American Dental Association still considers it an effective filling material. Originally chosen for durability, longevity, and affordability, amalgam consists of a combination of metals including silver, mercury, tin, and copper. Mercury is used in amalgam fillings to make them soft enough to be molded and inserted into the tooth. In recent years, many concerns have arisen about the safety of amalgam due to the high mercury content. When a patient with an amalgam filling chews, or consumes warm foods and beverages it heats up the mercury in the filling and releases vapors, which are then absorbed by the body. The concern is how much mercury vapor is released and absorbed by the body over the time. Studies have shown that mercury exposure can lead to symptoms such as chronic headaches, fatigue, memory loss, and anxiety. Mercury-free refers to a dentist who uses alternatives to amalgam fillings regardless of the reason. (Many dentists opt to not place amalgam fillings due to their appearance in the smile). A mercury-safe practice not only refuses to place amalgam fillings, but takes it a step further by offering the safe removal of amalgam fillings that are already in place in the mouth. While being a mercury-free practice is a good thing, we believe that it’s an important distinction to be a mercury-safe practice. As it was mentioned earlier, Virtue Dental Care utilizes the protocols developed by the IAOMT when it comes to safely removing amalgam fillings. This ensures that the patient, staff, and environment are protected from mercury exposure during the entire process. Keep the fillings cool – Because mercury vapors are released when amalgam is heated, it’s important to use water and air to keep the filling as cool as possible. Chunking versus drilling – The dentist drills only enough to break the filling into chunks. High powered suction – This allows us to catch any debris and vapors released during removal. Alternative air source – To reduce the potential for inhaling vapors during removal. 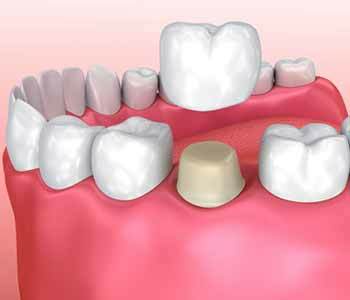 Rubber dam – To isolate the tooth being worked on. Filtering system – This prevents mercury from entering the wastewater and becoming an environmental hazard. At Virtue Dental Care, we are always taking steps to expand our knowledge on mercury-safe and biological dentistry. When removing mercury amalgam fillings, we take every precaution necessary to keep our patients safe. In addition to being SMART (Safe Mercury Amalgam Removal Technique) certified by the IAOMT, Dr. William Virtue has also served as a previous President of the organization. By being a mercury-safe practice, we are able to improve the health of our patients by removing amalgam and replacing it with healthy, biocompatible alternatives. Whether you are ready to have your amalgam filling removed, or would like to learn more about the process, we invite you to call our office 336-606-0040 today to schedule a consultation. We’re happy to show you our facility and answer any questions that you may have. We proudly serve patients in Kernersville, Charlotte, Greensboro, Yadkinville, and the surrounding communities. Home » What is mercury safe dentistry near Kernersville, NC?